When a person has a substance abuse problem, the world can feel like a lonely place. Alcohol or drugs work to isolate the individual from their friends and family – all the while pushing them deeper into the cycle of addiction. Substance abuse treatment centers help these individuals break the cycle of addiction, regain their footing and rebuild the relationship, careers and goals that were damaged as a result of drugs or alcohol. Substance abuse treatment programs offer rehabilitation for those individuals who are involved with alcohol, cocaine, heroin, marijuana, crystal meth, prescription painkillers such as Vicodin and OxyContin, and other drugs. 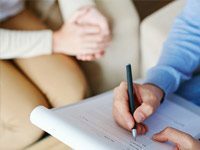 The following tips are designed to help individuals make good choices regarding their substance abuse treatment program. Residential rehab programs offer outstanding, comprehensive substance abuse treatment, but also require individuals to put their lives on hold for a month (or longer) during treatment. Outpatient programs offer a full substance abuse treatment plan, but do not feature the round-the-clock care found in a residential program. Outpatient rehab program do, however, allow individuals to return home and see their families at the end of the treatment day, which can be an advantage for many people. The only way to get the most out of substance abuse treatment is to speak openly and honestly about your problem with counselors (during individual counseling) and other individuals in the program (during group counseling). Engaging in a dialogue about the root causes of your substance abuse is how breakthroughs occur. By understanding and admitting to the past, the future will be yours to control and change for the better. Many individuals enter substance abuse treatment with a chip on their shoulder. It is common for those with a substance abuse problem to remain in denial about the situation – even during rehab. The best advice for these individuals would be to let go and allow the substance abuse treatment program do its job. Those who are active participants in counseling sessions, and really take the time to absorb the lessons of the program are undoubtedly the ones who enjoy the most success. Aftercare may not seem like an attractive an idea. Why would someone who just completed a substance abuse treatment program want to get involved with more drug or alcohol related meetings? But aftercare serves a very important purpose. 12-step programs and follow up counseling add accountability, support and structure during the transition back into “normal life.” These programs help keep people from relapsing and insure that they are implementing the lessons learned during their rehab program. Michael’s House is a residential substance abuse treatment program that helps motivated individuals overcome their substance abuse problems. The proven-successful methods employed by Michael’s House have helped thousands of people turn their lives around and leave their substance abuse issues behind.